This entry was posted on January 1, 2018 by nigel borrington. 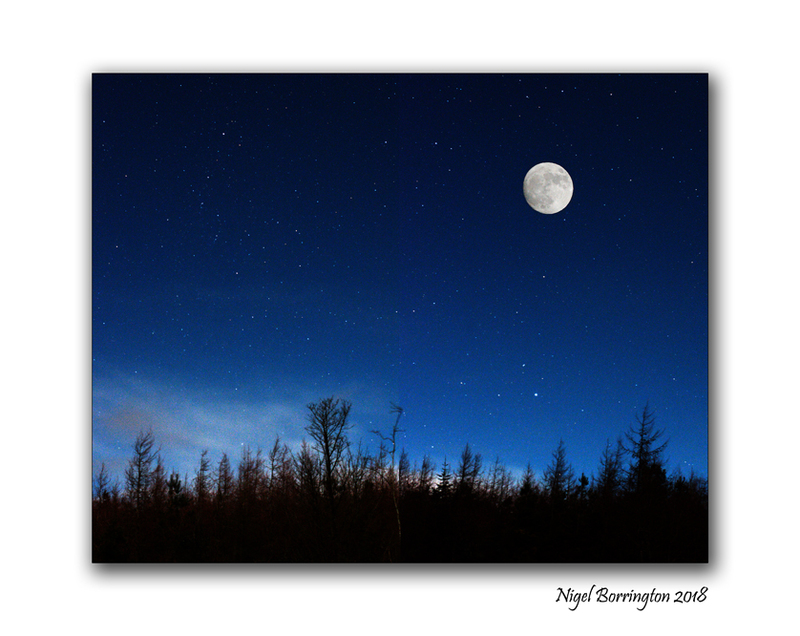 It was filed under astronomy, Comment, Gallery, irish woodlands, Landscape, Nigel Borrington, Winter landscape and was tagged with 2018, Full Moon, happy new year, Images of the night sky, Kilkenny, moon, new years eve, Nigel Borrington, Stars, The heavens. Happy New Year! I really like your header picture. Is it one you took? If so, kudos to you! Magnificent image to end the year with. I Look forward to seeing your work this year.